ALS Research Forum | Astrocytes in ALS: A Toxic Withdrawl? Protect and serve? Astrocyte promote survival of motor neurons in part by reducing levels of glutamate. But in people with ALS, levels of the glutamate transporter GLT1 drop, making it harder to protect these cells from excitotoxicity. [Bruno Pascal, CC BY-SA 3.0]. Astrocytes keep motor neurons healthy and promote their survival by protecting them against glutamate-induced excitotoxicity. But in people with ALS, these cells malfunction and may contribute to the disease. How these cells contribute to ALS remains unclear. Astrocytes might destroy motor neurons by secreting toxic substances (see April 2007 news; Nagai et al., 2007). But according to recent studies led by University College London’s Rickie Patani and Sonia Gandhi in England, astrocytes may contribute to ALS by other non-cell autonomous mechanisms in at least one form of familial form of the disease (Hall et al., 2017). Understanding how, and in what contexts, astrocytes change in ALS may be key to designing therapies to protect motor neurons in the disease. Researchers first suspected in the late 1990s that astrocytes may play a key role in ALS pathogenesis by contributing to motor neuron toxicity in the disease. Astrocytes, according to studies from Jeff Rothstein at Johns Hopkins University School of Medicine, lose their ability to mop up excess glutamate over the course of the disease, leaving motor neurons more susceptible to destruction (Rothstein et al., 1995). In more recent years, however, researchers discovered that astrocytes may play a more direct role in ALS, by destroying motor neurons through a non-autonomous mechanism. Reporting in 2007, Columbia University scientists led by Serge Przedborski found that SOD1 astrocytes secrete toxic factors that kill motor neurons – at least in co-culture (Nagai et al., 2007). And, in 2014, a research team led by Nationwide Children’s Hospital’s Brian Kaspar in Ohio showed that the presence of directly reprogrammed astrocytes resulted in toxicity to motor neurons in culture, whether the skin tissue originated from people with SOD1 ALS, C9orf72 ALS, or sporadic disease (Meyer et al., 2014). But according to studies in 2013 led by University of Edinburgh’s Siddhartan Chandran in Scotland, iPS-derived TDP-43 mutant astrocytes had no effect on motor neurons in vitro, raising the question of how astrocytes contribute to ALS in at least some forms of the disease (Serio et al., 2013). To shed light on how astrocytes may contribute to ALS, researchers at the University of Wisconsin, led by Su-Chun Zhang, determined whether these cells could promote motor neuron loss in the spinal cord in vivo (Qian et al., 2017). To carry out this analysis, Zhang’s team generated iPS cell lines from two different sporadic ALS (sALS) patients, neither of whom carried the C9orf72 repeat expansion. Two non-ALS control lines were also created. The iPS cells were then converted into spinal cord progenitor cells, and transplanted into SCID mice, and followed for 9 months. “We see the [progenitor] cells migrate away from the transplant site, and during this process they gradually become mature [GFAP+] glial cells,” explained Zhang. The astrocytes spread, on average, 11 millimeters from the site of injection. Taking a closer look, Zhang’s team noticed that astrocytes matured during this migration from the injection site, with a higher proportion or mature cells closer in, and fewer farther out. This allowed the researchers to infer a neuronal timeline based on position—that is, since more distal astrocytes were more immature, the effects they had on neighboring neurons were more recent than those seen closer to the injection site. Using this approach, Zhang’s team found that, compared to control astrocytes, sporadic ALS astrocytes had a 30% reduction in the level of glutamate transporter GLT1 as they matured, This is consistent with previous preclinical studies which indicate that reactive astrocytes are unable to protect motor neurons because they are less able to remove glutamate from them, at least in SOD1-linked disease (Bruijn et al., 1997). What’s more, nearest the injection site, motor neurons (as distinguished by ChAT labeling) were reduced by about 40%, and non-motor neurons (Neu-positive, ChAT-negative), by 27%. While the loss of motor neurons was restricted to more proximal areas, reduced numbers of non-motor neurons could be detected in more distal areas suggesting that the loss of non-motor neurons occurred first. Together, the results suggest that sporadic ALS astrocytes contribute to ALS in part by leading to the destruction of key neurons in the spinal cord. Johns Hopkins University’s Lee Martin complimented Zhang on the work. “This is the first paper to show in vivo that astrocytes in sporadic ALS might have some acquired dysfunction, just like astrocytes in familial disease,” he said. The loss of these neurons had important effects. Mice transplanted with sporadic ALS astrocyte precursors exhibited key motor deficits including reduced grip strength. No effects were seen in mice injected with control cells. A cellular retreat? Researchers at the University of Edinburgh in Scotland reported in 2013 that reprogrammed TDP-43 astrocytes failed to promote the survival of motor neurons in co-culture. But they did not kill them either raising the question of how astrocytes contribute to ALS in at least one form of the disease [Courtesy of Serio et al., 2013, Proceedings of the National Academy of Sciences]. What non-motor neurons are destroyed by sporadic astrocytes in these mice remains unclear. However, suspects Zhang, at least some of them may be inhibitory interneurons. Inhibitory interneurons are lost in ALS, at least in the spinal cord according to preclinical studies led by Martin (Martin and Chang, 2012). And, the resulting loss of excitatory-inhibitory balance in the CNS may lead to increased hyperexcitability of motor neurons, contributing to their loss in the disease (Turner and Kiernan, 2012). “If the inhibitory neurons are lost early on, motor neuron excitation may then be sustained, causing degeneration,” hypothesized Zhang. But despite championing a role for interneurons in ALS, Martin cautions it is too early to say whether it is interneurons that are destroyed by sporadic ALS astrocytes in these mice. A set of more specific markers is needed to show that these neurons are inhibitory interneurons more conclusively. And, more experiments need to be done to show that these neurons are the primary drivers of the pathogenic process in this system. University of Sheffield’s Laura Ferriaulo in England agrees. 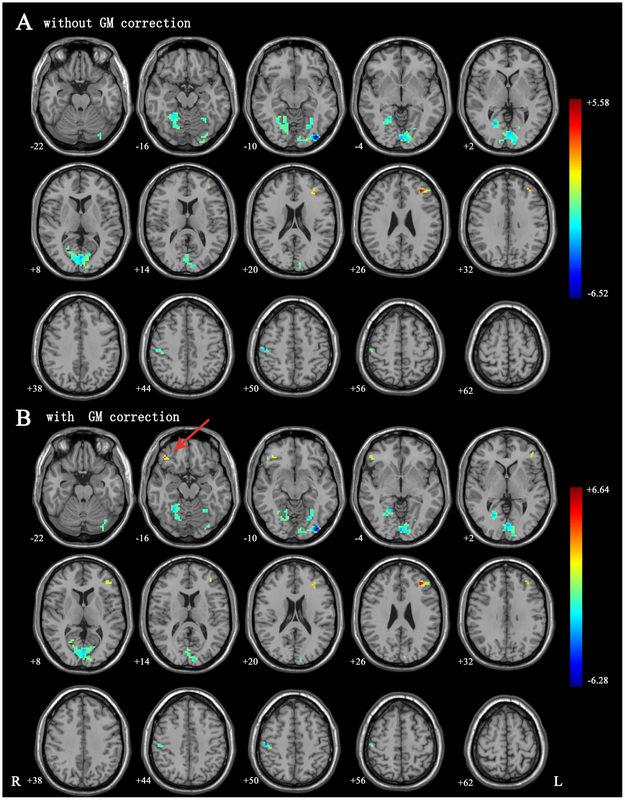 More direct confirmation is especially important according to Ferriaulo since the model uses a spatial difference as a proxy for a temporal one. “Motor neuron dysfunction could be contributing to interneuron dysfunction as well—we still need to sort that out,” Martin added. A key question is why some scientists see no effect on motor neurons when co-cultured in vitro with iPS-derived ALS astrocytes. One possibility is that genetic changes may explain why astrocytes could destroy motor neurons. 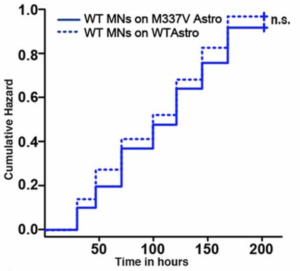 But this is unlikely, according to Zhang, because astrocyte precursors derived from both people with sporadic ALS, who are unrelated, increased motor neuron loss in this system. The presence of key epigenetic marks may explain why astrocytes generated from people with sporadic ALS may destroy motor neurons by some but not all reprogramming methods. [Courtesy of Pasque et al., 2014. Cell]. A more likely possibility, Zhang said, is that epigenetic changes that contribute to the destruction of motor neurons were retained during the reprogramming process. 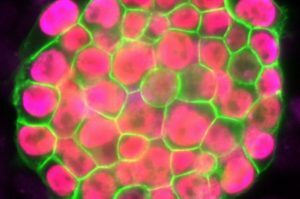 “In theory, [these changes] would be wiped out through reprogramming, because we reprogrammed them to the naïve state,” but some research [studies] suggests that not all epigenetic components are removed, he said. But epigenetics may very well explain these differences, she added. Some studies suggest, according to Ferraiuolo, that the extent of retention of these epigenetic marks may explain differences in the toxicity observed in co-culture between astrocytes derived from iPS cells and those from more direct reprogramming methods. The reason, according to a growing number of studies of neurons, is that directly reprogrammed cells are more mature. And, therefore may better represent the cells in people with neurodegenerative diseases including ALS (Mertens et al., 2015; Ho et al., 2016). 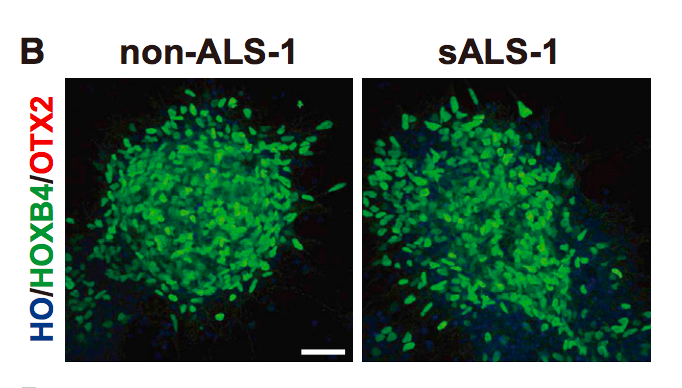 Nevertheless, the demonstration that sALS astrocytes are toxic in vivo “is definitely novel, and potentially important,” said Ferraiuolo because it may provide a tool for developing and testing therapies effective against sporadic ALS. Astrocytes, however, may not intrinsically turn against motor neurons in all forms of ALS, according to studies led by University College London’s Rickie Patani and Sonia Gandhi in England. They may simply fail to support them. Astrocytes play a critical role in promoting the survival of motor neurons by protecting them against glutamate-induced excitotoxicity (Rothstein et al., 1996). And, these cells appear to lose this ability to remove this excess glutamate from motor neurons during the course of the disease (Rothstein et al., 1995; Lepore et al., 2008). To shed light on how astrocytes may contribute to ALS, Patani and Gandhi’s team used an automated longitudinal confocal imaging approach, developed by Sami Barmada, now at University of Michigan, to monitor their impact on wild-type motor neurons in co-culture. They focused on the underlying mechanisms of VCP-linked disease (see March 2013 news). A rebel attack? Microglia may encourage a subset of astrocytes to turn against motor neurons, destroying them according to recent studies led by Stanford University’s Ben Barres in California. Evaluating their impact in co-culture systems has proved tricky to do, however, since reprogrammed microglia generated in vitro may not be the same as those that contribute to the disease (see June 2017 news; Gosselin et al., 2017). [Image: Activated microglia in the brain. Zeiss. CC BY-NC-ND 2.0]. In their experiments, they reprogrammed iPS cells derived from two people with VCP ALS or three healthy people to create both motor neurons and astrocytes, and then studied them either alone or in co-culture. They found that, when grown alone, VCP mutant astrocytes died faster than control astrocytes. “We can confidently say that the VCP mutation causes a survival defect in astrocytes,” Patani said. in vitro (Serio et al. 2013). Next, the team co-cultured these astrocytes with healthy motor neurons and found that their presence increased their susceptibility to destruction. The reason, however according to results from Patani and Gandhi’s team, is largely that these astrocytes appear to be less able to support motor neurons, rather than killing them. Motor neurons co-cultured with VCP mutant astrocytes survived longer than motor neurons grown on their own but shorter than wild-type astrocytes, explained Patani. This suggests that the ALS-linked VCP-mutation disrupts the capacity of astrocytes to support motor neuron survival. But, according to Patani, that does not mean that VCP mutant astrocytes do not injure motor neurons much like in other forms of the disease (Haidet-Phillips et al., 2011; Meyer et al., 2014; Re et al., 2014). Earlier this year, a research team led by Ben Barres at Stanford University found that microglia may secrete key substances that convert a subset of astrocytes that are neurotoxic in nature – cells that are excluded in existing co-culture systems (see January 2017, February 2017 news; Liddelow et al., 2017). 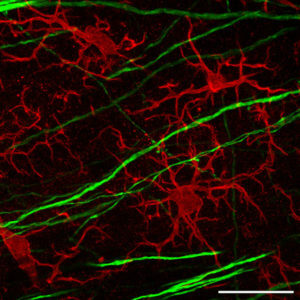 How astrocytes could lose their ability to support motor neurons remains unclear. But it remains possible that this could also be mediated by a gain of function mechanism. Indeed, according to studies led by University of Texas Southwestern’s Steven McKnight, astrocytes may be less able to remove glutamate from motor neurons in C9orf72 ALS due to dipeptide repeat proteins which interfere with splicing of EAAT2 transporter RNAs (see August 2014 news; Kwon et al., 2014). Nevertheless, astrocytes are becoming increasingly clear to play a key role in ALS through both cell autonomous and/or non-autonomous mechanisms. Therefore, according to Sonia Gandhi, supporting astrocyte function may be therapeutically beneficial in at least some forms of the disease. In the meantime, researchers in the US are hoping to protect motor neurons in people with ALS by developing strategies that introduce healthy astrocyte precursors to detoxify the nervous system. The approach, which aims in part to reduce levels of glutamate, involves the transplantation of glial precursors known as GRPs into the spinal cord. One of these strategies, known as Q cells, is being developed by Johns Hopkins University School of Medicine’s Nicholas Maragakis and Emory University’s Jonathan Glass, in collaboration with Q Therapeutics in Utah (see October 2008 news; Lepore et al., 2008). The approach, cleared by the FDA in 2015 for clinical testing, is expected to be evaluated at the phase 1/2a stage. A second strategy, being developed by University of California’s Lawrence Goldstein in Los Angeles, is at the preclinical stage. Stay tuned. Hall CE, Yao Z, Choi M, Tyzack GE, Serio A, Luisier R, Harley J, Preza E, Arber C, Crisp SJ, Watson PMD, Kullmann DM, Abramov AY, Wray S, Burley R, Loh SHY, Martins LM, Stevens MM, Luscombe NM, Sibley CR, Lakatos A, Ule J, Gandhi S, Patani R. Progressive Motor Neuron Pathology and the Role of Astrocytes in a Human Stem Cell Model of VCP-Related ALS. Cell Rep. 2017 May 30;19(9):1739-1749. [PubMed]. Chen H, Qian K, Chen W, Hu B, Blackbourn LW 4th, Du Z, Ma L, Liu H, Knobel KM, Ayala M, Zhang SC. Human-derived neural progenitors functionally replace astrocytes in adult mice. J Clin Invest. 2015 Mar 2;125(3):1033-42. [PubMed]. Haidet-Phillips AM, Hester ME, Miranda CJ, Meyer K, Braun L, Frakes A, Song S, Likhite S, Murtha MJ, Foust KD, Rao M, Eagle A, Kammesheidt A, Christensen A, Mendell JR, Burghes AH, Kaspar BK. 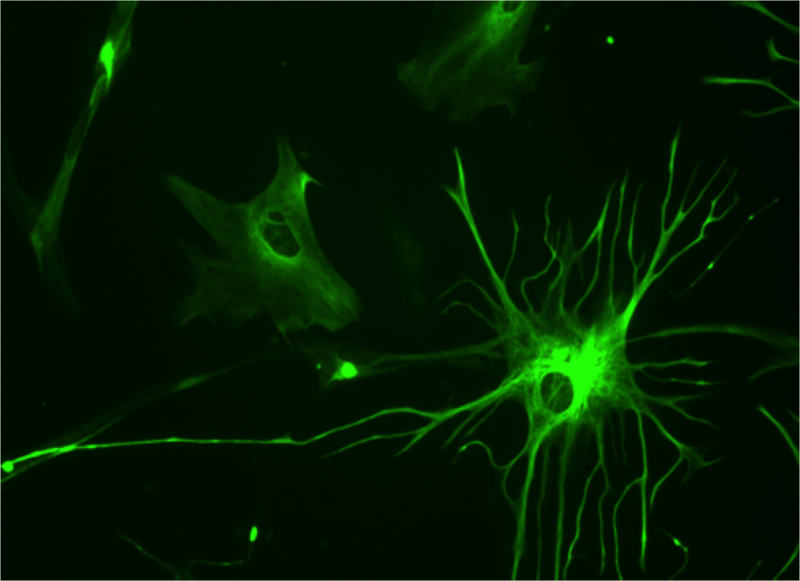 Astrocytes from familial and sporadic ALS patients are toxic to motor neurons. Nat Biotechnol. 2011 Aug 10;29(9):824-8. [PubMed]. Meyer K, Ferraiuolo L, Miranda CJ, Likhite S, McElroy S, Renusch S, Ditsworth D, Lagier-Tourenne C, Smith RA, Ravits J, Burghes AH, Shaw PJ, Cleveland DW, Kolb SJ, Kaspar BK. Direct conversion of patient fibroblasts demonstrates non-cell autonomous toxicity of astrocytes to motor neurons in familial and sporadic ALS. Proc Natl Acad Sci U S A. 2014 Jan 14;111(2):829-32. [PubMed]. Re DB, Le Verche V, Yu C, Amoroso MW, Politi KA, Phani S, Ikiz B, Hoffmann L, Koolen M, Nagata T, Papadimitriou D, Nagy P, Mitsumoto H, Kariya S, Wichterle H, Henderson CE, Przedborski S. Necroptosis drives motor neuron death in models of both sporadic and familial ALS. Neuron. 2014 Mar 5;81(5):1001-8. [PubMed]. Serio A, Bilican B, Barmada SJ, Ando DM, Zhao C, Siller R, Burr K, Haghi G, Story D, Nishimura AL, Carrasco MA, Phatnani HP, Shum C, Wilmut I, Maniatis T, Shaw CE, Finkbeiner S, Chandran S. Astrocyte pathology and the absence of non-cell autonomy in an induced pluripotent stem cell model of TDP-43 proteinopathy. [PubMed]. Ferraiuolo L, Meyer K, Sherwood TW, Vick J, Likhite S, Frakes A, Miranda CJ, Braun L, Heath PR, Pineda R, Beattie CE, Shaw PJ, Askwith CC, McTigue D, Kaspar BK. Oligodendrocytes contribute to motor neuron death in ALS via SOD1-dependent mechanism. Proc Natl Acad Sci U S A. 2016 Oct 18;113(42):E6496-E6505. [PubMed]. Rothstein JD, Van Kammen M, Levey AI, Martin LJ, Kuncl RW. Selective loss of glial glutamate transporter GLT-1 in amyotrophic lateral sclerosis. Ann Neurol. 1995 Jul;38(1):73-84. [PubMed]. Lepore AC, Rauck B, Dejea C, Pardo AC, Rao MS, Rothstein JD, Maragakis NJ. Focal transplantation-based astrocyte replacement is neuroprotective in a model of motor neuron disease. Nat Neurosci. 2008 Nov;11(11):1294-301. [PubMed]. Liddelow SA, Guttenplan KA, Clarke LE, Bennett FC, Bohlen CJ, Schirmer L, Bennett ML, Münch AE, Chung WS, Peterson TC, Wilton DK, Frouin A, Napier BA, Panicker N, Kumar M, Buckwalter MS, Rowitch DH, Dawson VL, Dawson TM, Stevens B, Barres BA. Neurotoxic reactive astrocytes are induced by activated microglia. Nature. 2017 Jan 26;541(7638):481-487. [PubMed]. Kwon I, Xiang S, Kato M, Wu L, Theodoropoulos P, Wang T, Kim J, Yun J, Xie Y, McKnight SL. Science. 2014 Sep 5;345(6201):1139-45. [PubMed]. Myszczynska M, Ferraiuolo L. New In Vitro Models to Study Amyotrophic Lateral Sclerosis. Brain Pathol. 2016 Mar;26(2):258-65. [PubMed]. Mertens J, Marchetto MC, Bardy C, Gage FH. Evaluating cell reprogramming, differentiation and conversion technologies in neuroscience. Nat Rev Neurosci. 2016 Jul;17(7):424-37. [PubMed]. Turner MR, Kiernan MC. Does interneuronal dysfunction contribute to neurodegeneration in amyotrophic lateral sclerosis? Amyotroph Lateral Scler. 2012 May;13(3):245-50. [PubMed}.